Kind of an over-looked band, now. 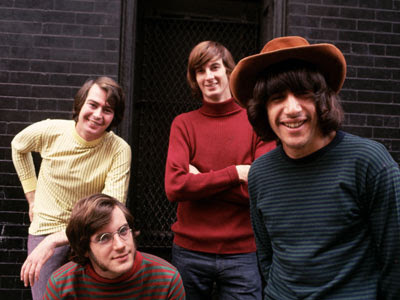 The Lovin' Spoonful's first couple of albums are magic,.....indeed. You've got to love those albums Terry. On The Road Again and Didn't Want To Do It? Wild About My Lovin'? It's Not Time Now? What an impressive fusion of country and rock. The problem for me was that when they were at their peak, I was still living in England, and a lot of their stuff didn't track over there (In fact I'm not sure I remember them at all). And by the time I got to the States they were over. So I only knew about them in retrospect, hearing their songs on the radio, but I never bought one of their albums. That being said, every single I ever heard, I liked. Darlin' Be Home Soon is one of my favorite songs. What about the Tiger Lily sound-track? I mean, that is some magical stuff.